Multiberry Whey Protein Fluff – A Recipe Video! The video below shows you how to make a Whey Protein Fluff – a cross between ice cream, marshmallow fluff, and a hefty dose of protein POW! It’s magical stuff really, Protein Fluff; if you haven’t tried it: you must! Follow the video below and, afterwards, check out all my Fluff recipes here. Be ready to nommmmm! Mitch and I made the first video together a couple of weeks ago (see it here) but are just now beginning to hone-in on our own style soooo yeah! I hope you like this one. If you’re wondering who Mitch is, let me tell you. Mitch (also known as Jimmy Electricity) is a professional free-runner and the creator of Fresh Fox Apparel (which, as you can tell, I’m a fan of). He’s a mad protein cook (see here for evidence of all his awesome recipes!) 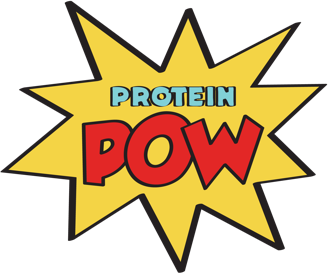 and the story behind his involvement with Protein Pow is actually quite funny. I met Mitch at this year’s Body Power expo where his passion for protein pow(d)ered food became all too apparent (here’s a picture of Mitch at the expo – look under ‘Body Power 2012’ and tell me if you’ve ever seen a bigger smile). This, along with his enthusiasm, creativity, and videoing strength, led to the prompt shaking of hands. So yes! I hope you like our videos and, as always, feel free to drop any comments/suggestions you may have so we can keep on making the videos better, better, and BETTER.